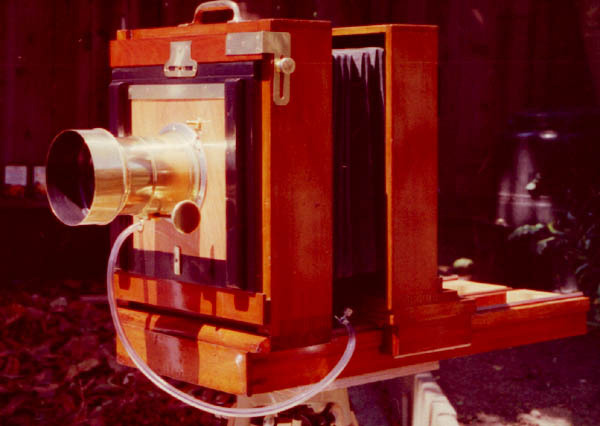 Donald Booth in San Francisco has built a beautiful camera based on the design in Building a Large Format Camera. 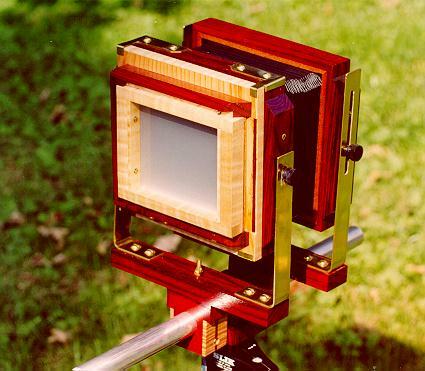 He used padouk and figured maple for the outer frames and the lensboard, and cocobolo for the connectors. The inner frames are mahogany. Don will be using the camera mostly for still life and portrait and decided to modify the swing and tilt layout. 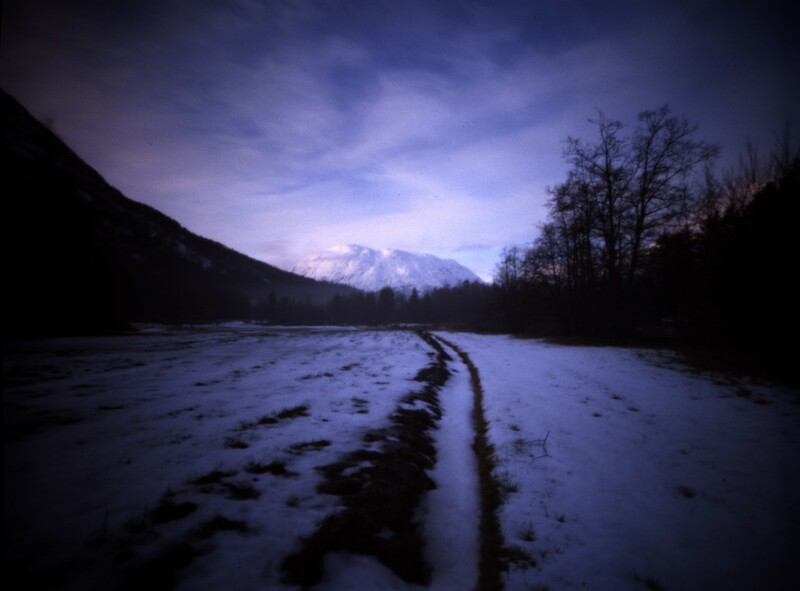 Don has a degree in Photography and is self-taught in woodworking. 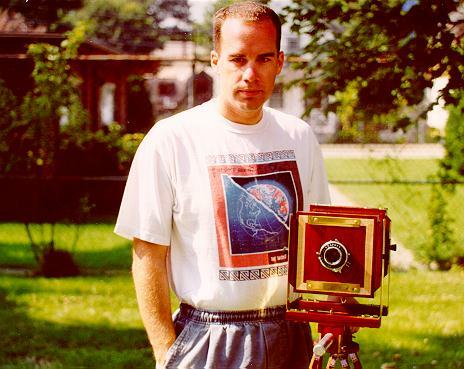 When he built the camera, he was doing yacht restoration in Newport, Rhode Island. He now works for a software company in San Francisco. 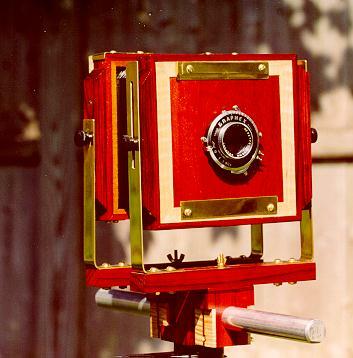 Don has also built a studio/backyard camera based on an old 8×10 wooden copy camera frame. The frame “came with a glass plate holder, so now i can attempt glass plate negatives”, he writes in an email. Last updated 25 May 2016.